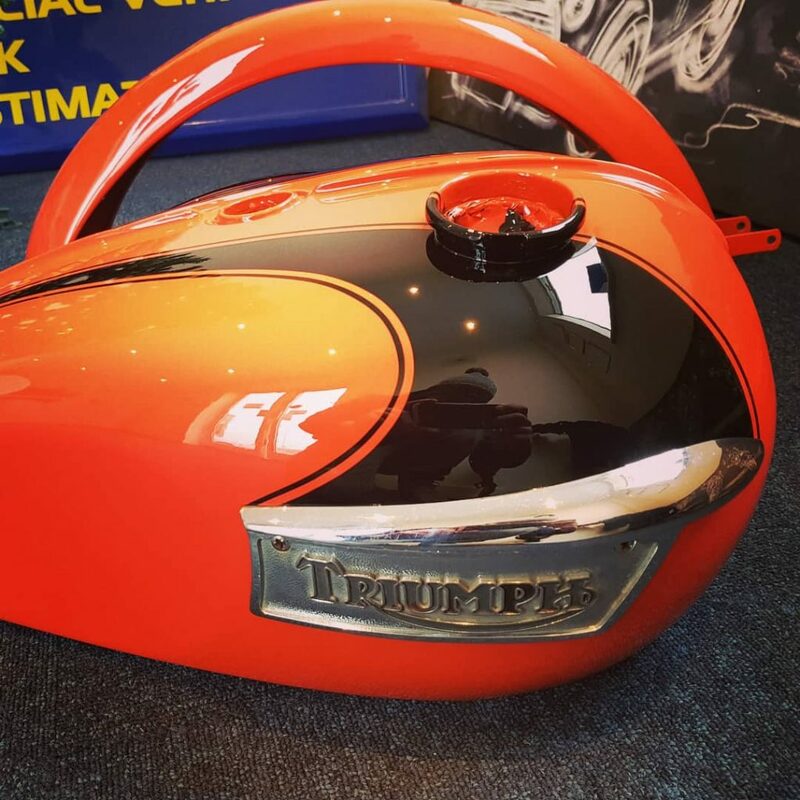 Triumph motorbike custom paint job. 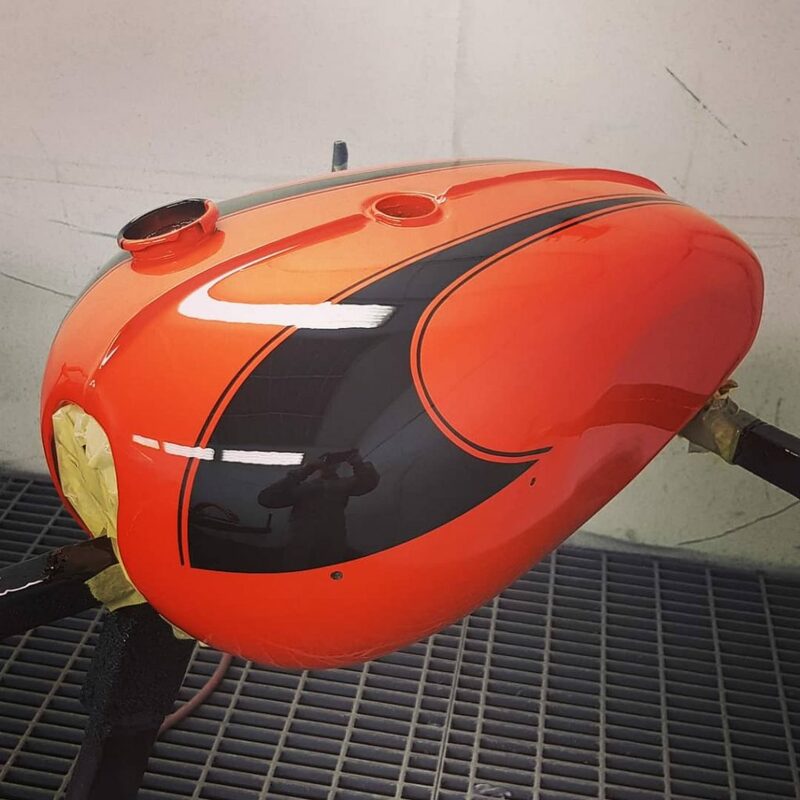 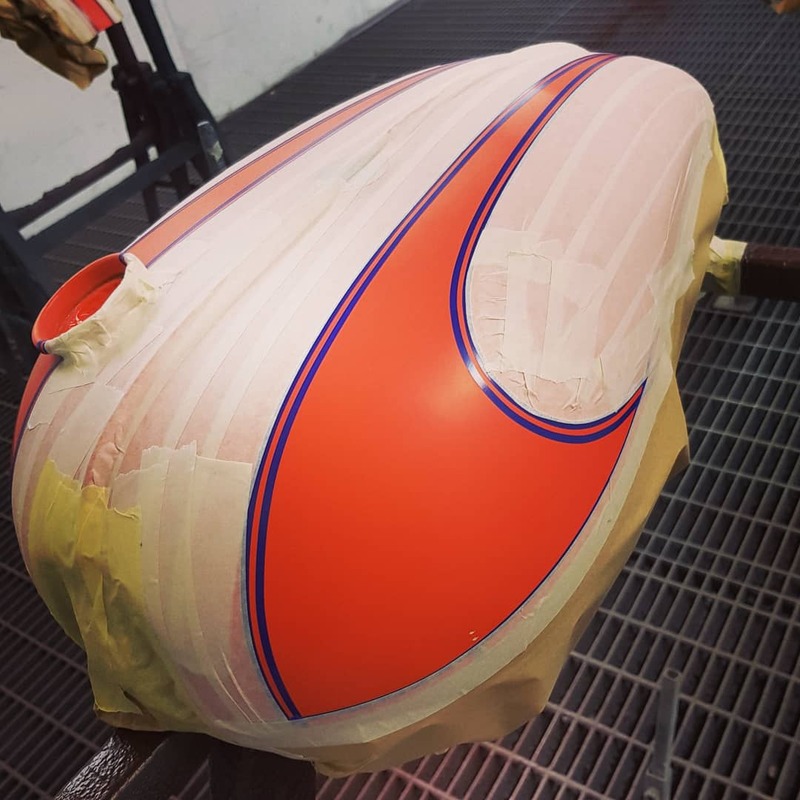 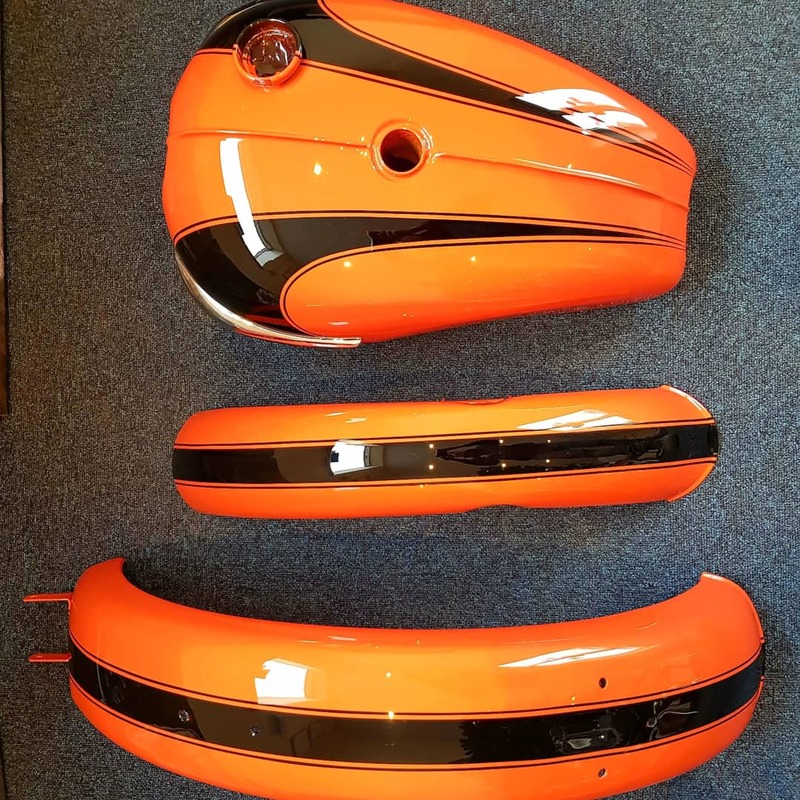 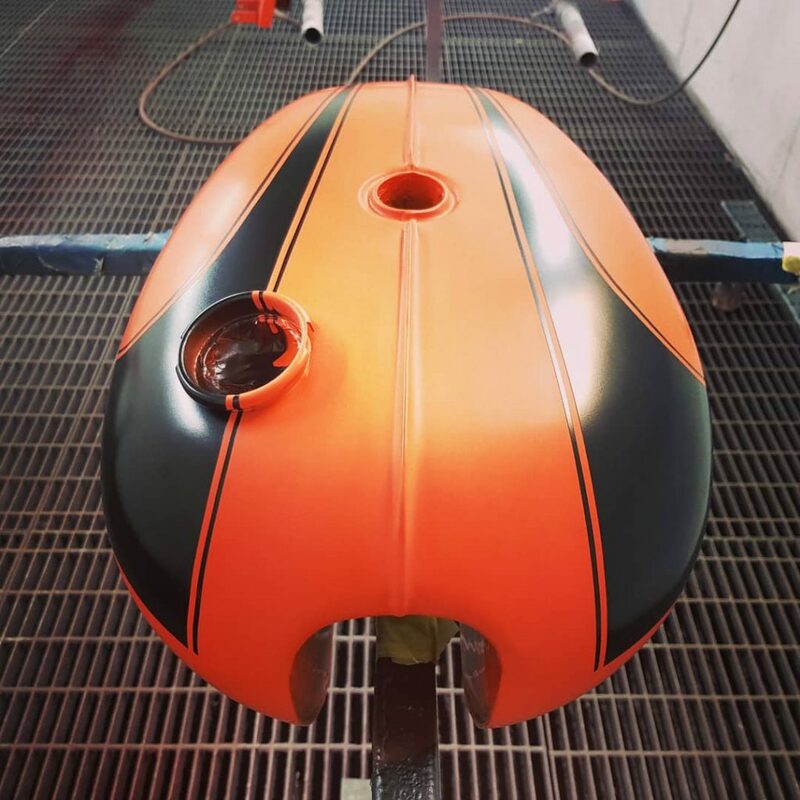 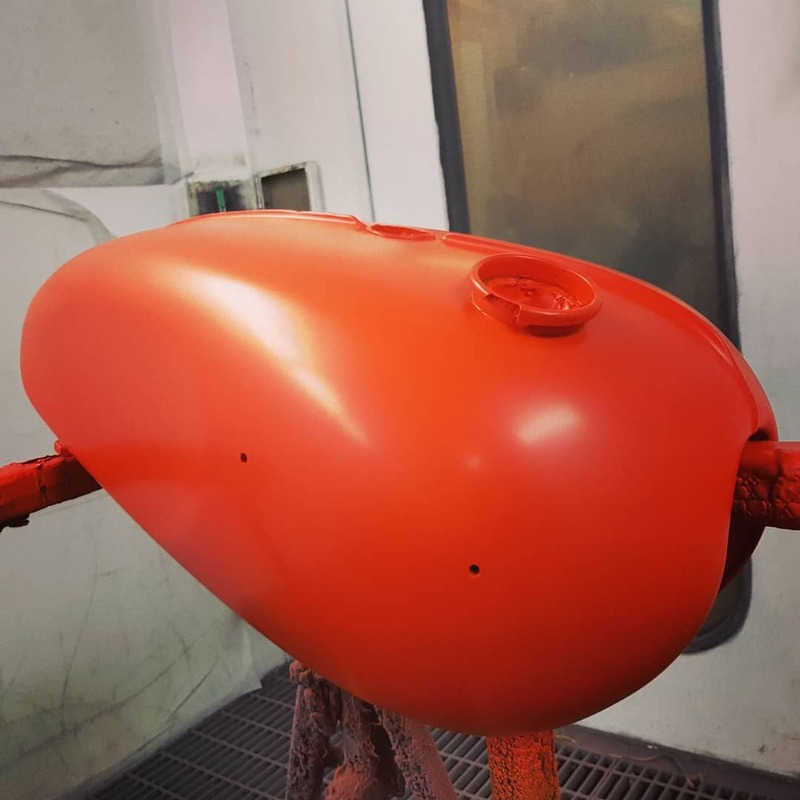 This Triumph motorbike tank was repaired and repainted with a custom design paint job requested by the customer. 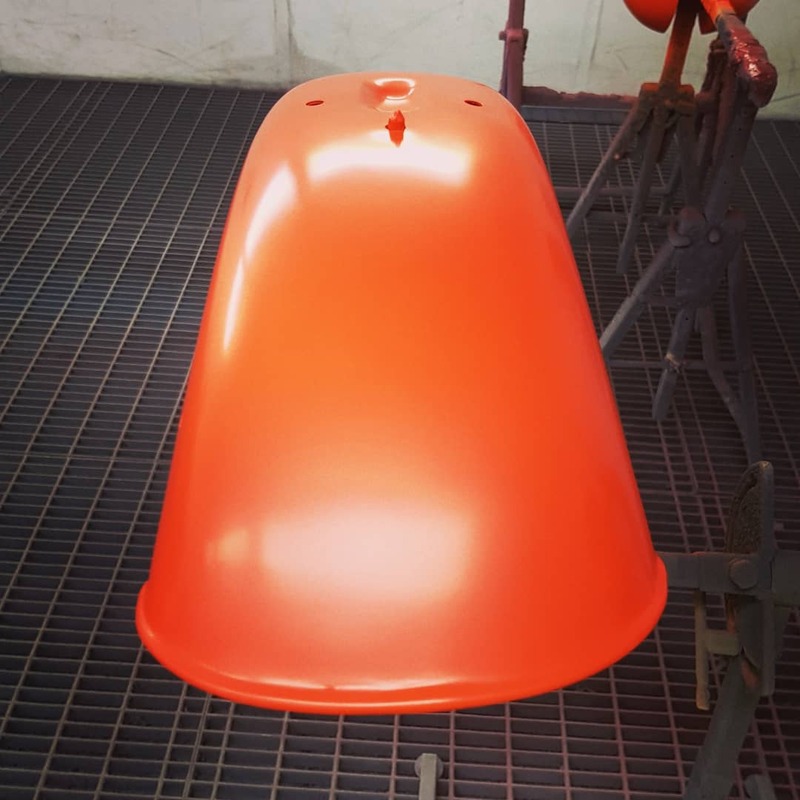 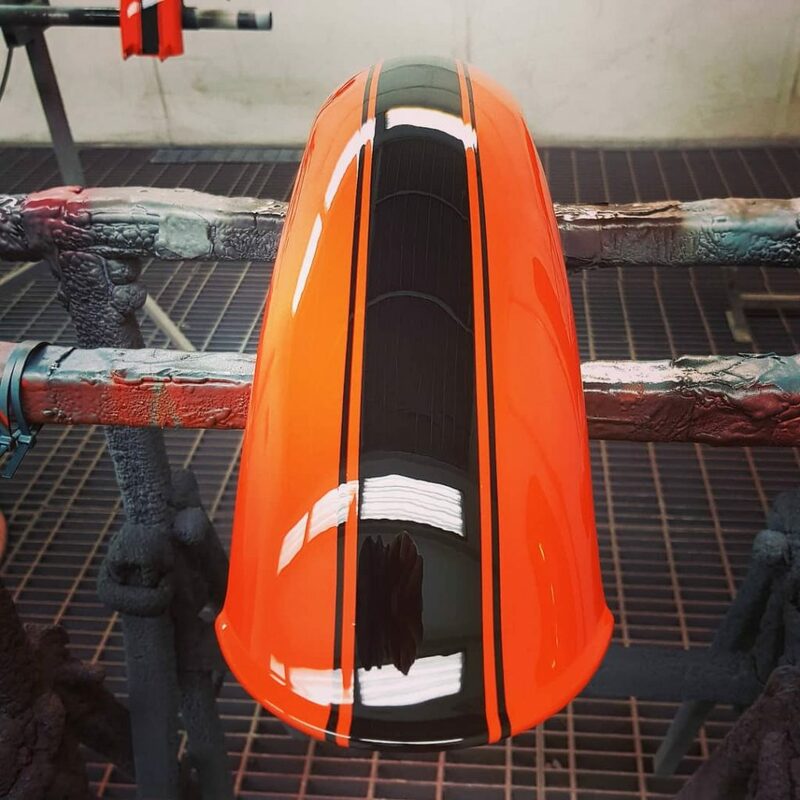 He wanted to use the Land Rover colour Tangiers Orange with a pinstriped black flash and we think it looks great! 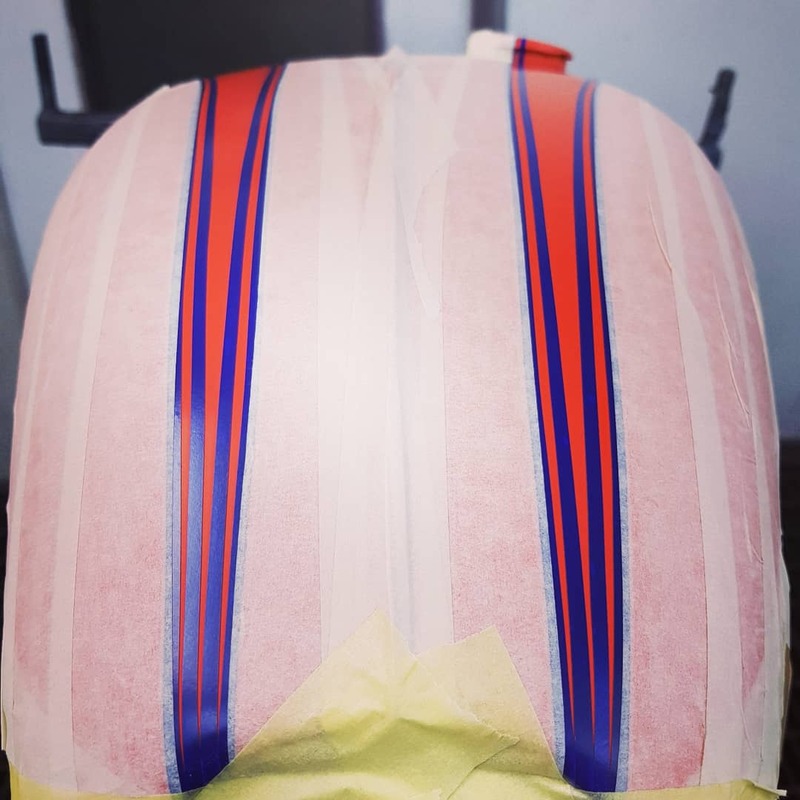 Previous PostPrevious First day back. 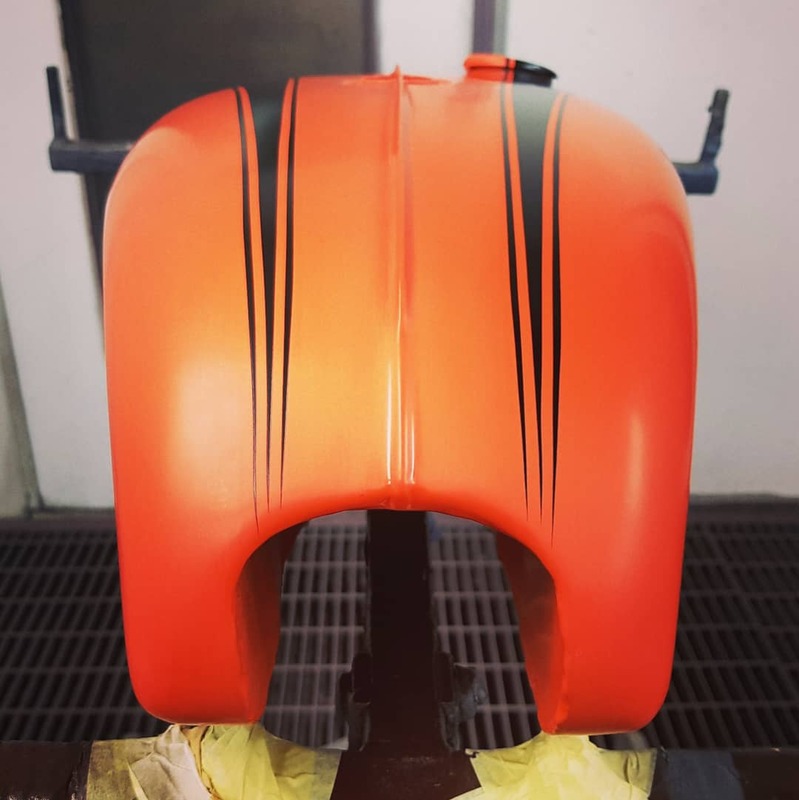 Next PostNext Its not everyday that you get to paint a stormtrooper!